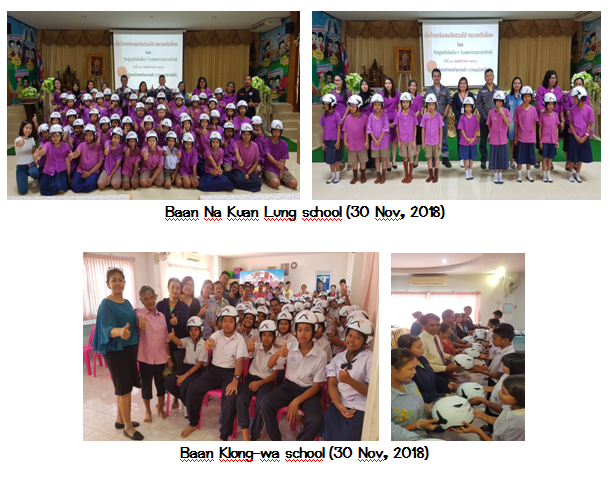 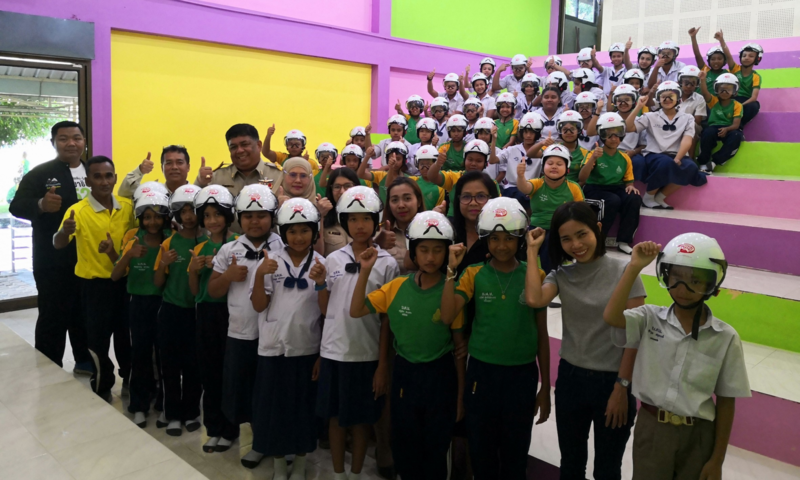 Helmet granted to students has been designed specially to conform with the new edition 2014 TSI standard according to the declaration of Thai Industrial Standard Institute, Ministry of Industry. 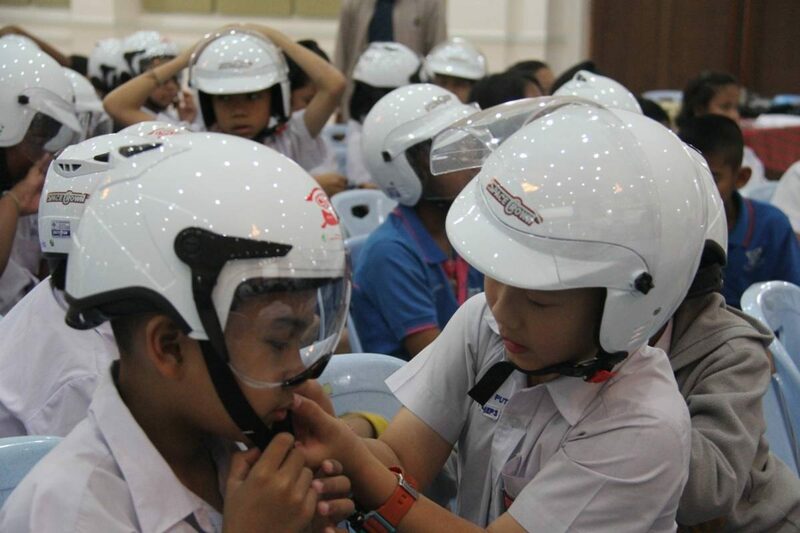 Apart from that, the granted helmet has a fitting pad adjusted to fit firmly into child head. 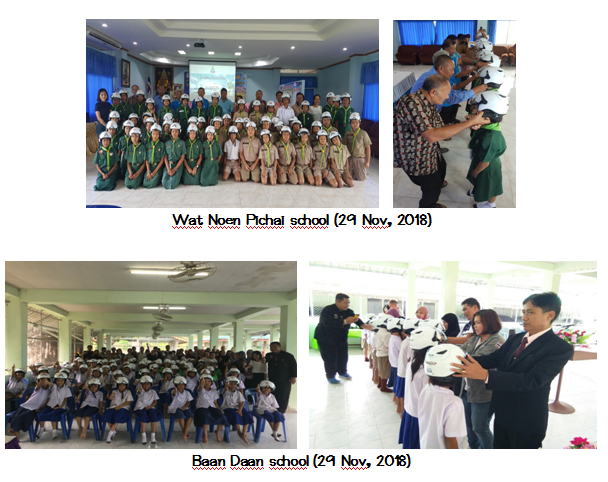 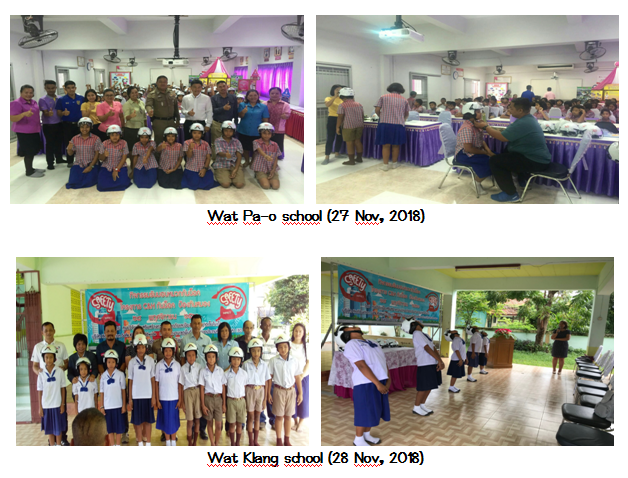 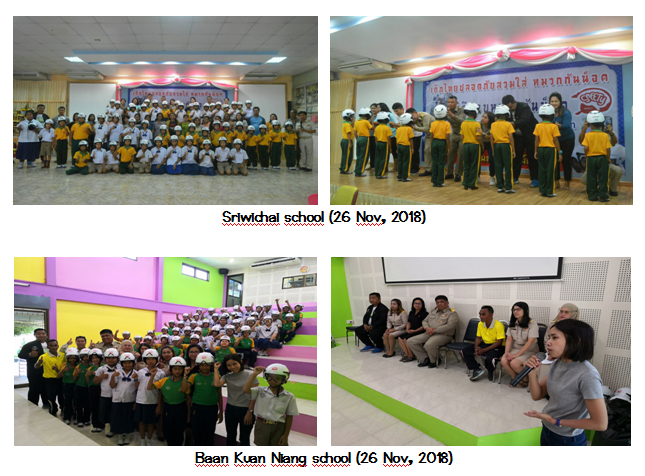 After the grant, CSIP and Halliburton will follow up the use of helmet of grantee students, as well as coordinate with these 8 schools to mobilize the use of helmet and to participate more with parents and networks. 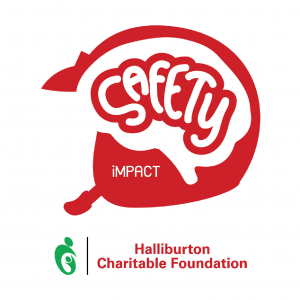 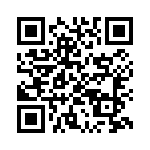 “C&H Anti-Knock.. Child Brain Safety” funded by Halliburton (www.halliburton.com) and Safe Kids Worldwide (www.safekids.org) since 2017.